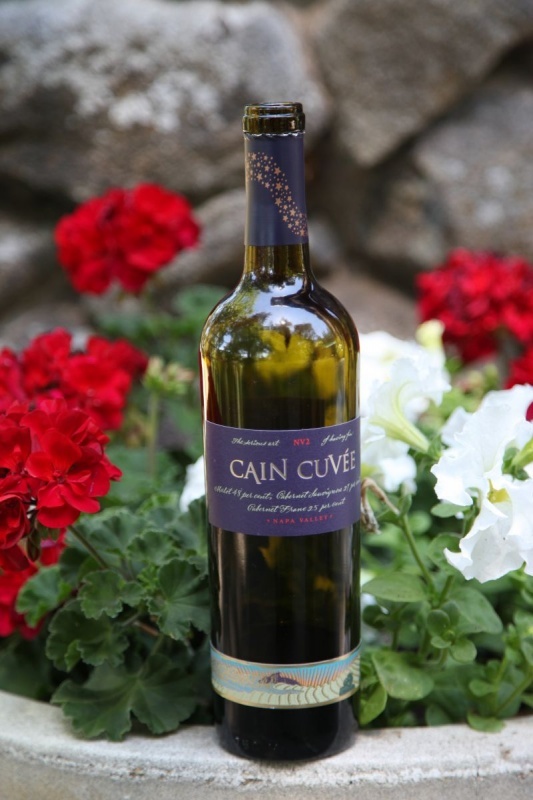 At the beginning of the summer, I was invited along with a group of wine writers to spend time at Cain Vineyard. 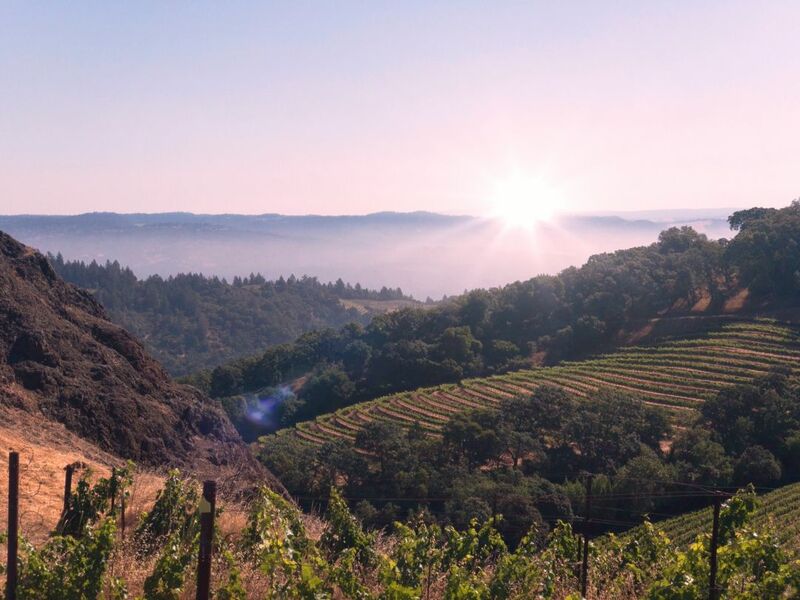 Cain Vineyard has one of the most gorgeous views in all of Napa sitting high atop of Spring Mountain looking down over Sonoma. I could wax lyrical for days about the beauty of the property. It is spectacular and well worth the visit for that alone. We toured the property and vineyards in a combination of cars and utility farm vehicles. 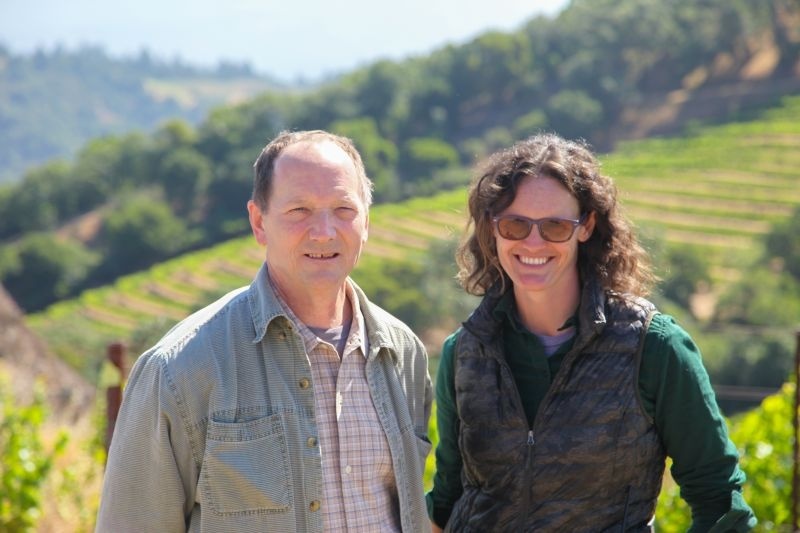 Our tour guides were Ashley Anderson-Bennett who is the Vineyard Manager and Winemaker Christopher Howell. They patiently fielded all of our questions and smiled as they guided us through the vineyards pointing out blocks of rootstock and its interesting history along the way. Cain had been greatly damaged by Phylloxera over the years and they are just finishing a full replanting of their entire stock. Only one old block remains that yields fruit that is still used. 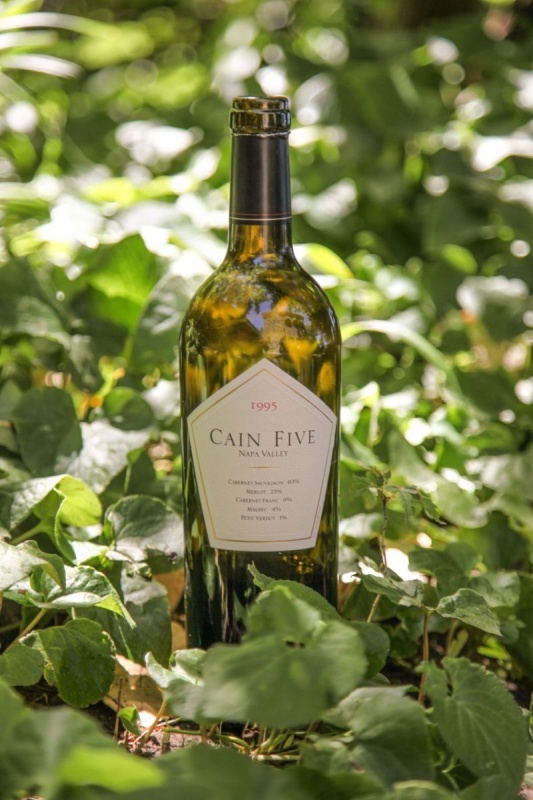 Cain 5 is a VERY respected and well-known name and wine label under the Cain Vineyard brand. I believe I tasted it for the first time 3 years ago at the Spring Mountain District pouring event in San Francisco. My memory of Cain 5 was that it was good, and my notes looking back reflected that. 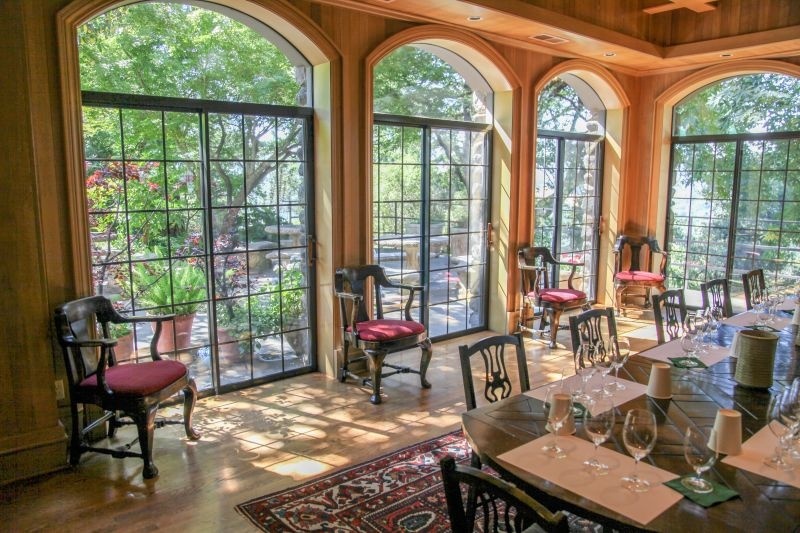 Cain tasting room that looks out to the beautifully landscaped gardens. The tour of the vineyards ended and I was excited. I have already mentioned the views and the vineyards, but coming back up to the winery building was truly beautiful. The architecture is a classic beauty made out of stone. 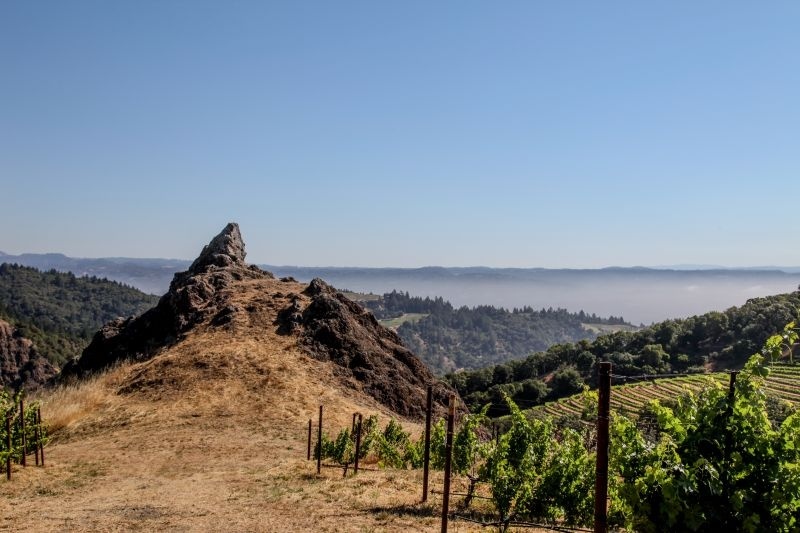 It could easily be one of Napa’s best-kept secrets. Vineyards looking over Sonoma County the fog rising in the morning. When we got back to the winery, our group of writers had a truly stimulating conversation about Brettanomyces with Winemaker Christopher Howell. Even if I didn’t come away agreeing with his point of view, it was interesting listening to him speak with such intelligence and passion on a very controversial subject in the wine world. Walking into the barrel room there was no mistaking it – there is not a smell like it, and all wine pros know it immediately – Brettanomyces or Brett as it’s called in the industry. But what exactly is Brett? 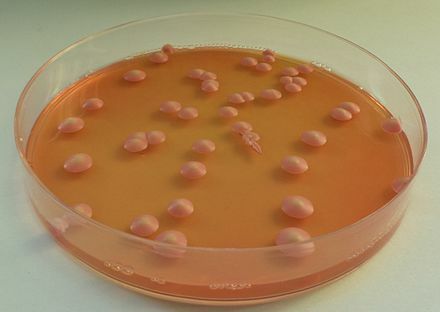 Brettanomyces is the yeast that is naturally occurring and lives in the skins of fruit. In wine, however, it is usually considered very undesirable and can ruin the entire yield if it is left unchecked. It truly smells like a barnyard, a baby’s diaper, cowpies, horse’s sweat, you get the picture right? Since so much of drinking wine is in the smell, having an unpleasant scent isn’t considered desirable by most people. On the other hand, used in very small quantities Brett can bring some interesting flavors to wine like leather, spices, and depth which is considered very desirable. It is a very fine line for a winemaker to walk. Brett is also highly contagious and spreads quickly, so many wineries have their own bottling machinery to avoid contamination from someone else’s product. 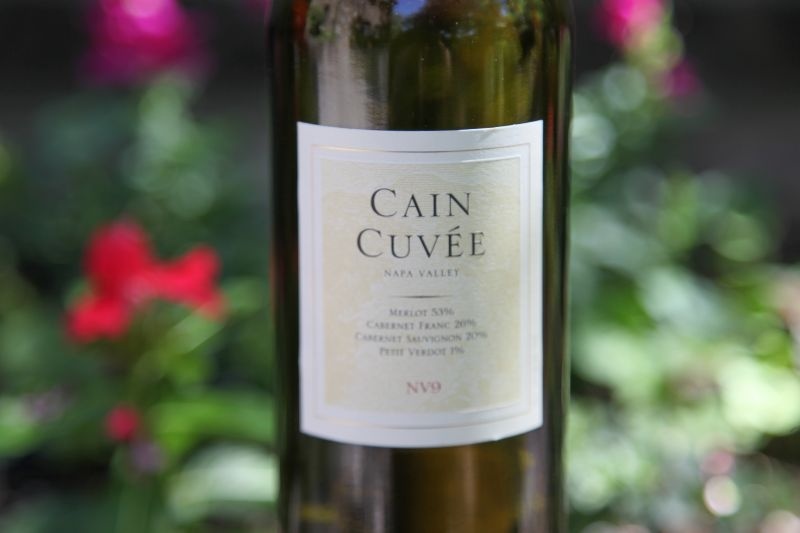 Cain Cuvée is their more affordable line of wines. Throughout our tasting, Christopher talked about the wine community’s misunderstanding of Brett in wine and his intentional use of it. 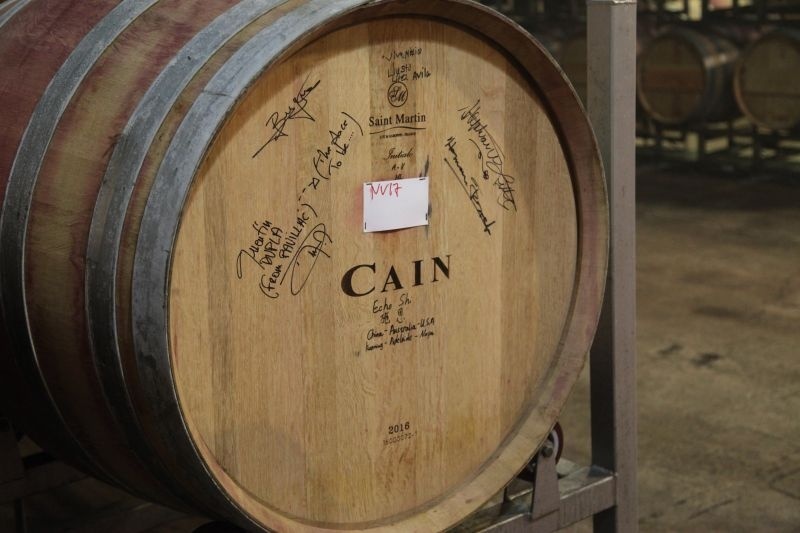 Indeed the characteristics of Brett were very evident in the entire Cain lineup. Christopher went on to explain that he hopes to educate the wine drinking consumer and we wine professionals about Brett and perhaps change our collective minds. He sees it as a natural part of winemaking. For his palate, he doesn’t see it as a fault or spoilage of the wine. He believes that there are other people who enjoy the flavors and notes that Brett produces. Commercially I don’t know how that will work in the big consumer market, or if Cain Vineyards will back themselves into a corner producing wines in this style. It may be that they get a cult following of like-minded thinkers, or as fashions change, it may be hailed as a wine before its time. It is hard to predict and only time will tell if this gamble will pay off. Whilst I was considering his stance during my tasting, I had to admit Christopher made compelling points. There are wines that “experts” hail to be the finest ever created and my palate does not agree. They simply aren’t to my personal liking. Others that are panned by the same “experts” I find I love. Everyone has their own likes and dislikes. It is the same with food. My husband and I often disagree on the things we enjoy eating. Coming away from this experience, my thoughts focused on what we try to always say in our articles: Don’t look at the price tag, or listen to what anyone else says. Drink what you like and what makes you happy. Click here if you are interested in reading other articles about wineries in the Spring Mountain District. There are people who like the use of Brett. A little Brett is a good thing they say. (‘m not one) but I agree with what you said.. drink what you like. I’d love to talk to Christopher, as I have lots of questions. While it can be a detractor if overdone, I’m a fan of Brett in moderation. Just like a number of smells and flavors, our individual sensitivities play an important role. If you’re super sensitive to that smell, you may not tolerate much. While I would find the same glass of wine to be inviting with gentle aromas of leather and underbrush. Jeff, it was a fascinating conversation and experience. I think my issue was the amount of Brett that was being used for my personal taste. Maybe it just needs to settle down in the bottle, but it is a very forward flavor profile in his wines. Interesting discussion, I wasn’t familiar with the Brett term prior to this. Or at least it hadn’t really registered! Some beautiful views there to go with the interesting wine! Absolutely! I think it’s well worth the visit to give yourself the opportunity to try something different and out of your comfort zone! Thank you for commenting.